One of the most common refrains voiced by opponents of immigration reform is that it must wait until the federal government has secured our border with Mexico and enforced the nation’s current immigration laws. Ten years ago those claims carried some force. 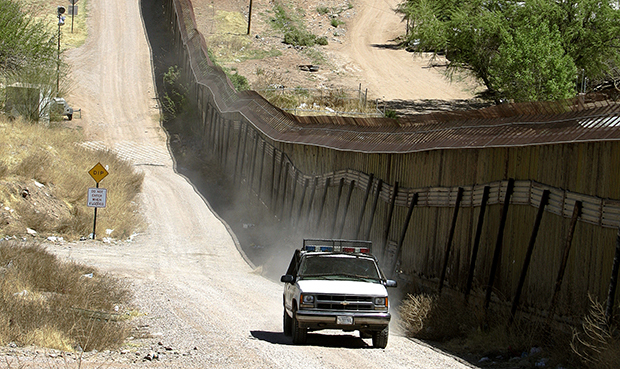 At the time, there had been large-scale undocumented migration for a sustained period, the border was relatively porous, and immigration enforcement in the country was less organized than it could have been. Ten years later, however, the facts on the ground have changed dramatically. Net undocumented migration is now at or below zero. The number of people apprehended crossing the border has decreased, even as border agents now patrol every single mile of the border every day and in many places have 100 percent eyes on the border—meaning that they can view nearly all attempts to cross the border in real time. Annual deportations have reached historic levels. There are more “boots on the ground” at the border than there have ever been in history. The fact of the matter is that the border is more secure now than it has ever been. And yet some members of Congress continue to insist that the border is unsafe, and as such, that they will hold immigration reform hostage until we have secured the border. With more than $17 billion spent each year on immigration and border enforcement, this is not only a misguided approach but an expensive one as well. To combat a lack of understanding, this infographic attempts to shine a light on the current state of immigration and border enforcement. Here we compare the current state of the border with border-security benchmarks included in both the 2006 and 2007 Senate bills. Those benchmarks have now been met, and in most cases surpassed, by the investment of unprecedented resources in border security efforts. Instead of a security-first paradigm, the new thinking on immigration reform should instead embrace the potential gains from immigration reform, particularly the social and economic benefits. Indeed, passage of comprehensive immigration reform with a pathway to citizenship would add $1.5 trillion to cumulative U.S. gross domestic product over the next decade, while passage of the DREAM Act, which offers a pathway to citizenship for young undocumented immigrants, would add $329 billion to the economy by 2030. Starting immigration reform with anything but a pathway to citizenship would run counter to the facts on the ground, counter to public opinion, and counter to plain, old-fashioned common sense. Marshall Fitz is the Director of Immigration Policy at the Center for American Progress. Philip E. Wolgin is an Immigration Policy Analyst at the Center.